A random act of kindness goes a long way. My grandma has been on my mind lately so I wanted to do something nice for her, for no reason aside from the fact that I love her. 1. Don’t forget to grease the parchment paper! Caramel is SUPER sticky. 3. 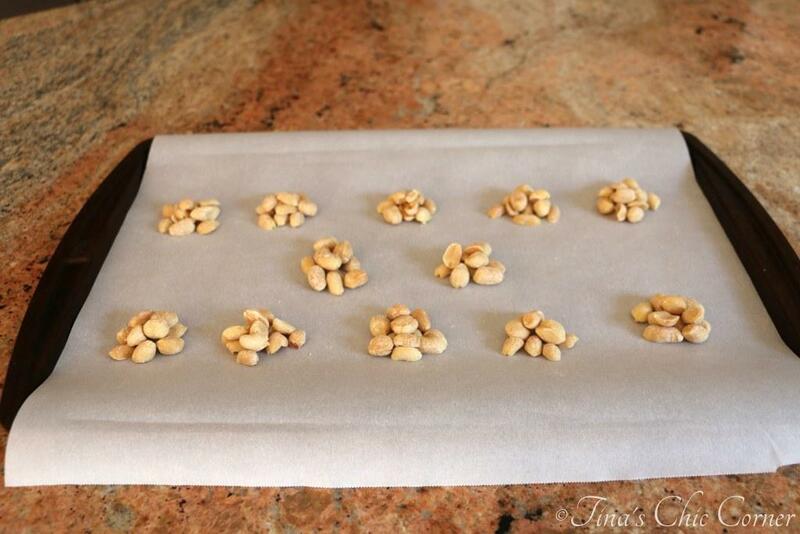 Adding a tiny bit of water with the caramel candies will help you spread it easier over the peanuts. It thins out the caramel a little and makes it so you can move it around without swearing about the fact that it’s stuck to the spoon, your hand, the counter, the bowl and your dog. Yes, it seriously can get everywhere. Be careful. Without the water it hardens way too fast to be useful. 4. Tempering chocolate is important for candies. Have you ever melted chocolate and seen it turn shades of white, grey, or basically look like crap once it cooled? (I sure have.) Chances are good that you didn’t melt the chocolate properly. I simply do not have good luck with melting chocolate properly in the microwave, no matter how I do it. If you do better than I do, then kudos to you (and you can ignore this tip). Me? I’ll stick with the double boiler method every time. I find that I have more control over the chocolate with this process. I can stir the chocolate bits around more often and the process is also slower (which is actually a good thing). These facts mean I can spread the heat around better to minimize any hot pockets that could lead to overheating or burning the chocolate. Plus, I can keep a closer eye on the chocolate texture so as soon as it’s ready I can remove it from the heat and do my thing with the candy preparations. Many swear by a candy thermometer, but I haven’t found that I needed it for a recipe like this. After all, we’re not professionals here and when chocolate is melted it’s kind of an obvious point to stop heating it. Mmm, chocolaty, salty, and sweet goodness. I may have eaten a few before handing them off to grandma. (Again, I won’t tell if you don’t.) I had to try them to make sure that this batch was the best of the best. I know you could just go and buy them at the store, but my grandma was so touched that I took the time to make these for her. She absolutely loved them. Take the peanuts and make 12 piles of them. For me it was the equivalent of about 10 whole peanuts per pile. If you have broken bits or halves they will taste just as good and no one will notice, but you should adjust how many pieces accordingly. 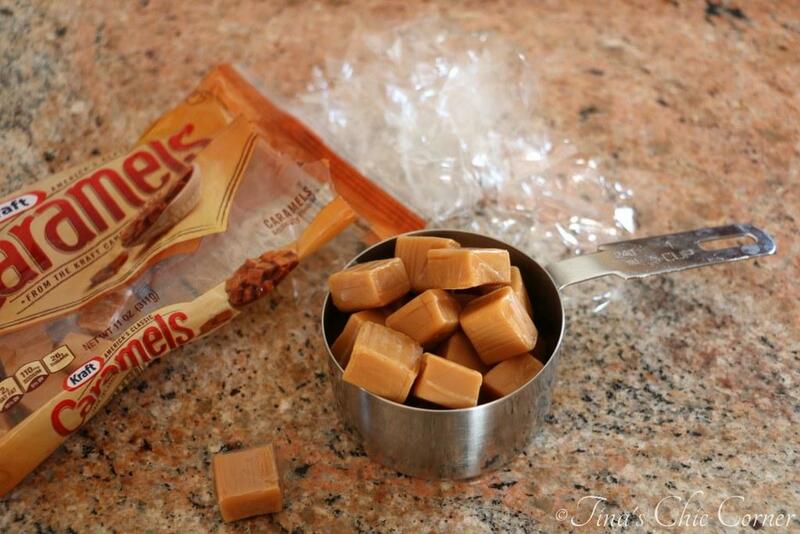 In a microwave safe bowl, melt the caramels and water. Do this in 30 second increments and stir after each session. Mine took 1 and 1/2 minutes. Using a spoon, drizzle about 1 tablespoon of melted caramel over each pile of peanuts. Let the caramel set. I put the tray in the fridge for about 15 minutes to speed this part up. 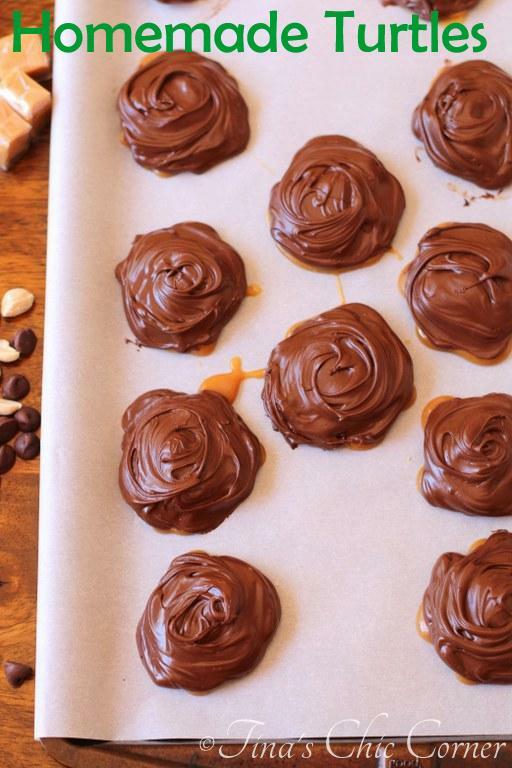 Using a spoon, drizzle about 1 tablespoon of melted chocolate over each turtle. Let the turtles set. They are just as delicious warm, but they are sort of not turtles until they’ve hardened up a bit. Here are some other chocolaty treats. 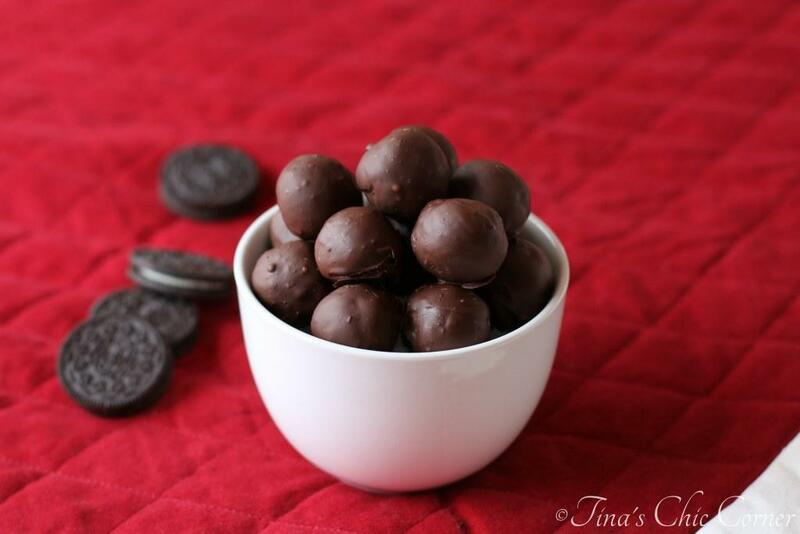 I love this post – both the homemade turtles and the gesture! I’ve been thinking about mailing something to my grandma for weeks now – this was the push I needed to just make the time to do it 🙂 So thank you! I love turtles and I love how easy these are. Gotta try them!! What a beautiful gesture, homemade anythings are the nicest gift, bet your grandmother just adored them. Could go one or two of these right now. 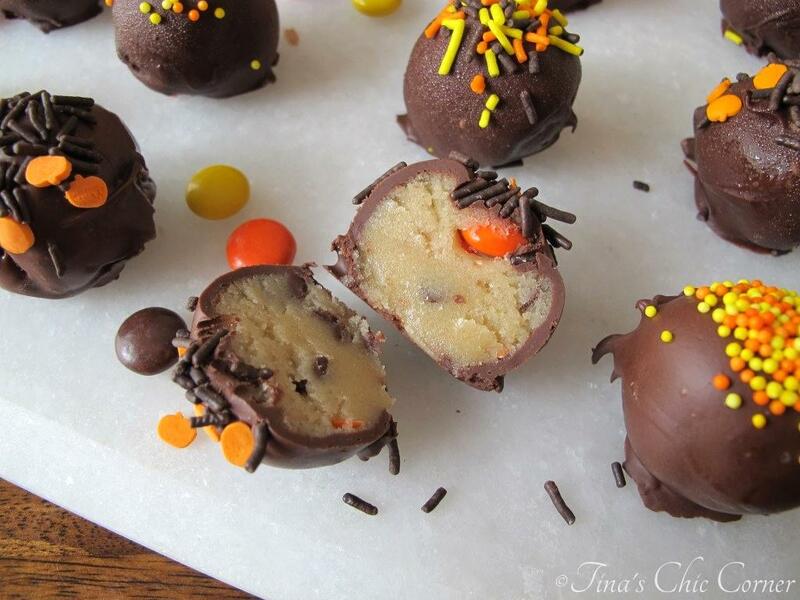 Tina, I love these. 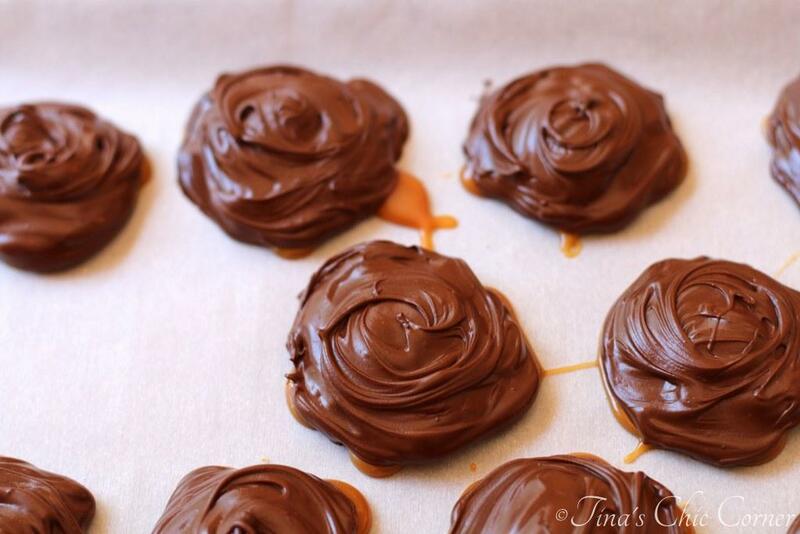 I’m not much for sweets, but put caramel with chocolate and I can’t resist. This looks like a winner. Thank you. What a sweet post, Tina (and not just the sugar content)! Delivering homemade treats is one of my favorite things. I bet your grandma loved them! And I laughed at your unwrapping the caramels step. Haha! Definitely not the taste you’d be going for. I am *so* pinning this, because turtles are one of my favorite candies. I seriously love the caramel goodness and crunchiness of the nuts. Pinned!